TODAY IS THE deadline for students to accept first round offers of third level and other courses from the Central Applications Office (CAO). The deadline is at 5.15pm this evening and comes a week after offers for course places were distributed. 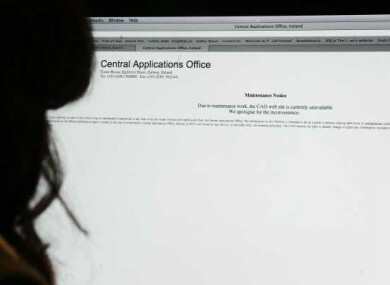 In addition almost 2,300 Northern Ireland and Great Britain residents have applied for courses across Ireland and there are over 13,000 mature applicants. Figures released last week showed that arts and social science courses were the most popular with nearly 17,000 applicants to those courses in various educational institutions. Second round offers from the CAO are due to be made this Thursday. Email “Don't forget: The deadline for accepting first round CAO offers is today ”. Feedback on “Don't forget: The deadline for accepting first round CAO offers is today ”.